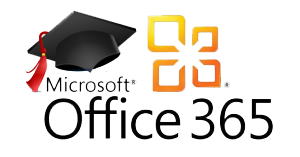 Chattahoochee Technical College is providing Microsoft Office to every student free of charge. This means the latest version of the full Office productivity suite, including Word, Excel, PowerPoint, OneNote, and Outlook. You will have access to both offline and online versions to best prepare you for class. As long as you’re a student here at Chattahoochee Technical College you’ll be able to use this software for free. Install on up to 5 compatible PCs and Macs, plus 5 tablets (including iPad!). Gain valuable skills on the world’s most popular productivity software. Use the same programs as your instructors to ensure full file fidelity. Before you start, uninstall previous versions of Microsoft® Office. Log on to your student email account with your Chattahoochee Tech email address and password. In Outlook® Web Access (OWA), choose Settings (Office 365 Settings) from the top-right menu. The page will default to the Office options. Click Install. The streaming installation will begin. A video will display to explain the new features of Microsoft® Office 365 ProPlus. While the video plays, the installation will continue in the background. Do not go offline or restart your computer until the installation is complete.